Published 6 times a year sent, PII provides relevant and up-to-date information for the Management and Senior Engineering teams within the Manufacturing Process Industries. 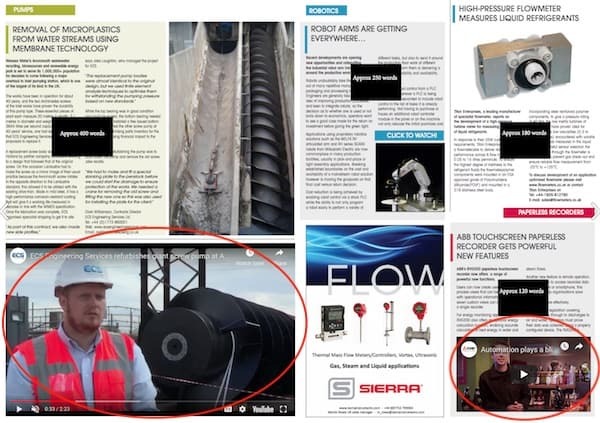 Each issue has an array of industry news, application stories, product introductions & updates, process engineering systems & solutions and includes specially commissioned generic articles - more than any other UK process title. Our popular and unique PR service guarantees great exposure of your news & updates. Advertorials are placed within the most relevant news section and include Headline, Image & Contact details and placement on our website FOC. 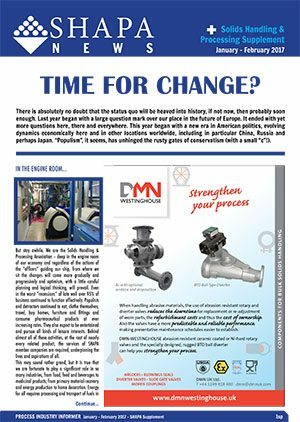 PII has a reputation for the quality of its feature articles, ensuring each issue includes a wide variety of topics so that there is something of interest for its readers in every issue. But please note that only generic features will be considered - so no ‘self-promotion’. Also note features should be between 1,000 to 2,000+ words and include imagery. With our new digital-only format, we can embed video within the magazine, either within content, or as an advert. It's a truly fantastic way to engage even more with our global audience, allowing you to showcase latest product releases, corporate videos, or add that all important personal touch to your latest news. We have worked with SHAPA since 2007 producing their Solids Handling & Processing Supplement. We publish it three times per year, which is distributed in our April, July and November issues of PII.